Keenlee is a free art sourcing service that provides designers and homeowners a highly personalized, high quality portfolio of art options sourced from the incredibly deep collective experience and knowledge of our extensive network of artists, galleries, and art advisors. We strongly believe in the power of art to transform living and work spaces, and work closely with our clients in a highly flexible manner to identify unique art from incredible artists, not just the same art sources that your peers are using. We do the art discovery, quality checks and sourcing for you so you can focus on reviewing a curated portfolio of art that matches your or your client's profile. We work with clients of all budgets, $1k to $100k+. Basically, we created the art service that we wanted for ourselves because it didn't exist! Simply complete a brief profile at www.keenlee.com/artprofileselection and we do the rest, with fast turnaround times and multiple iterations as necessary - and no fees or upcharges! Designers... Looking for Original Art Options? Visit our LA showroom! Custom murals and decorative painting. 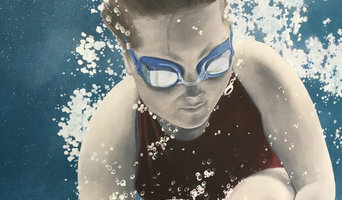 Custom artwork, specializing in high-end residential or commercial work. 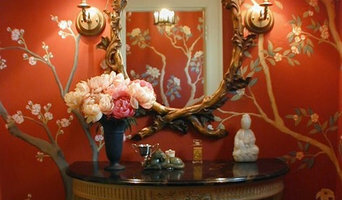 Specializing in architectural murals, wall finishes, painted furniture, gilding, woodgraining, eglomise. Since 1979, the glass artisans of The Hyland Studio have been creating custom hand-made stained glass, leaded glass, beveled glass and etched glass art. Our creations include art glass for windows, doors, skylights, partitions, cabinets, domes and numerous other applications. Our highest priority is the quality and aesthetic value of our products. 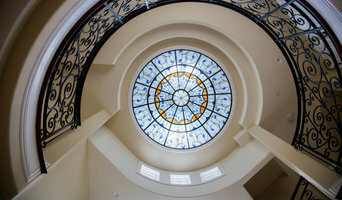 Our work can be found in the finest homes as well as businesses and churches throughout the U.S. We are also expert in the repair and restoration of stained glass for churches, historical structures and others. San Francisco Bay Area mural artist Lynne Rutter is on a mission to wipe out plain white ceilings and rescue banal interiors with beauty, color, and a little bit of gold leaf here and there! The studio specializing in ornamental painting, color consulting, fine art murals, gilding, and restoration work. While Lynne is a Victorian and historic home specialist, her skills translate to contemporary sensibilities beautifully. Shannon Geis specializes in murals and custom wallpaper. Children's rooms, abstract walls, and chinoiserie are all a part of her repertoire. She was raised in Houston, went to St. Mary's in the East Bay, traveled extensively in Europe, and loves working with clients and designers creating beautiful environments. Come visit the studio in Sausalito or she can come to your space to collaborate on your dream room! Mural Arts is a San Francisco studio owned by artist Les and Brenda Cole Seymour. The artists specialize in the making of custom fine art paintings, murals, painted tapestry and glass tile mosaic for commercial and residential interiors. In addition, the artists provide large format high resolution fine art printing, as well as special finishes and custom color on acoustical fabrics. Transforming the ordinary into a distinctive personalized statement through listening, discussion and discovery. Susan works one-on-one with her clients to add dramatic beauty to living, work and worship environments, choosing a perfect combination from a hand-crafted palette of glass and concrete modules. All work is crafted in her Santa Cruz, California studio, with projects found locally, throughout the US and internationally. Custom mural design for homes, businesses and schools. Custom painted furniture. Michael Coman is an internationally collected modern artist. His original works are displayed in public spaces such as corporate offices as well as residential private collections. Michael's passion to make the world a more beautiful place through color, shape, and design are exhibited in every piece he creates. These unique and modern installations are meant to inspire and provoke an uplifting spirit while making a dramatic statement of color and form. Truly unique and original modern art, custom created with imagination, precision, and craftsmanship at his Silicon Valley studio in California is then shipped and installed in corporate, residential, and public settings around the world. I create truly original modern wall sculptures and abstract art. 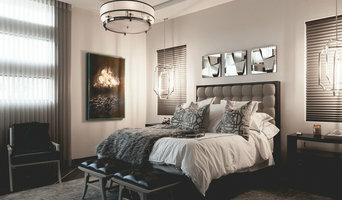 I work with homeowners, designers, art consultants, architects, projects managers, and businesses to create custom works of art that are unique, original and designed specifically for each project space. I can accommodate any size space and color palette. Visit: www.michaelcomanmodernart.com for more information. Stuermer Studios is an innovative San Francisco-based artisan studio that creates high-quality customized resin work for architects, designers, end clients and art connoisseurs that is unsurpassed in beauty, durability and renewability. With a focused, artistic approach, Stuermer Studios works in collaboration with clients to put a sophisticated creative fingerprint on their projects whether for large installations or individual designs for both residential and commercial applications. Under the creative direction of artist/founder Marcia Stuermer, artistic alchemy is behind each and every custom project that Stuermer Studios creates where their unique translucent resin is transformed into the most beguiling design solutions that are not only visually captivating, but have incredible physical properties. All of the custom resin work is fully customizable to reach each and every project’s particular aesthetics and needs. Every project is milled and finished to client specs so that it is ready to install upon delivery. Stuermer Studios' unique resin product offers amazing functionality with a wide spectrum of possible interior and exterior applications including countertops, tabletops, stair treads, floor inserts, landscaping pavers, doors, feature walls, room dividers, bathroom vanities, shower enclosures, handrail panels and more. Their structural resin work is stain, scratch, impact and UV resistant with a maintenance-free and completely renewable surface that functions indoors and out. It also has an FDA food-approved surface that withstands temperatures up to 212˚F. Sustainability is very important to Stuermer Studios as evidenced in their ‘renewal’ series using embedded re-purposed materials, their ongoing liquidation program where project overruns, remnants, and seconds are offered to clients at significantly discounted prices, and also in their continual upcycling of resin remnants or scrap into new artworks. Handmade furniture and housewares from reclaimed Napa Valley wine barrels. Wine Barrel Concepts is about quality, workmanship, and design. Some of the items we make are often those made by many; still others are unique to us. In a world that is rich with off-the-shelf consumerism, we strive to reclaim a used wine barrel and make as many things possible from it. There is a magic in the oak. And there are few things in scent like the blended smells of aged oak and Napa Valley red wine. Now we know that is not translated to our pieces, but it sure makes breaking those barrels down a whole lot more enjoyable. What we do takes time and work. And we hope you enjoy our products. We are a design and fabrication studio specializing in concrete and metal. Our diverse expertise in concrete, carpentry and metal, our artistic vision and having the ability to bring it all together in our 3000sf shop allows us to create custom projects and furnishings you won't find anywhere else. We offer a wide array of furnishings and surfaces for your home including concrete countertops, outdoor kitchens, fireplace surrounds, furniture, gates and metal wall art. Let us design your next unique project.